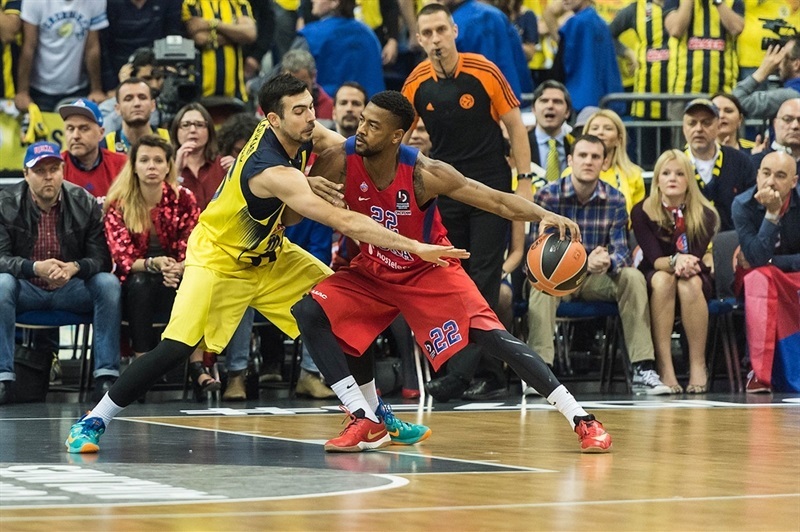 CSKA Moscow won the 2016 Turkish Airlines Euroleague crown after holding off Fenerbahce Istanbul 96-101 in overtime of a classic championship game at Mercedes-Benz Arena in Berlin, Germany. 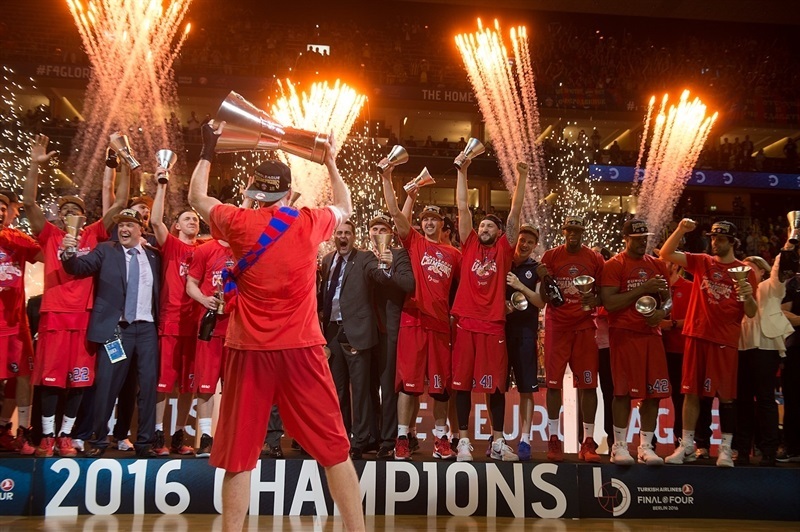 Team captain Victor Khryapa received the Euroleague trophy from Euroleague President and CEO Jordi Bertomeu to lead the celebrations as CSKA won its seventh Euroleague title. 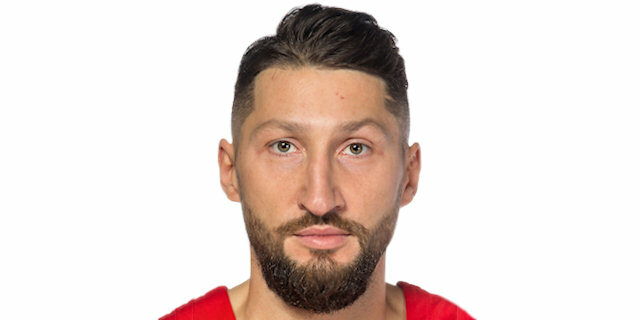 CSKA led 30-50 at halftime and by as many as 21 in the third quarter, but needed Khryapa to make a tip-in with 1.9 seconds left in regulation to send the game into the extra session. 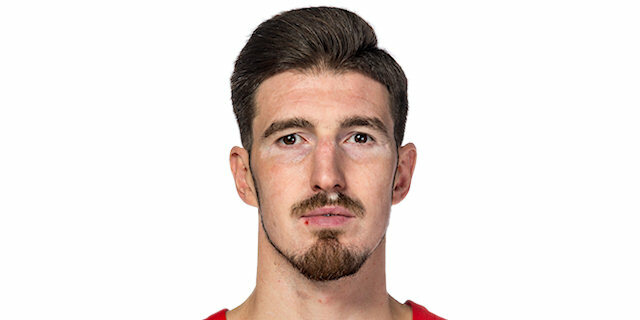 The win was also in large past thanks to a big performance from Euroleague MVP Nando De Colo, who was 8 for 8 from the foul line in overtime, when he scored 10 of his game-high 22 points. 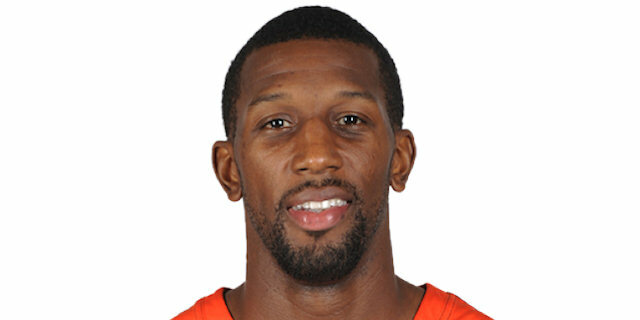 In doing so, he also earned Final Four MVP honors. 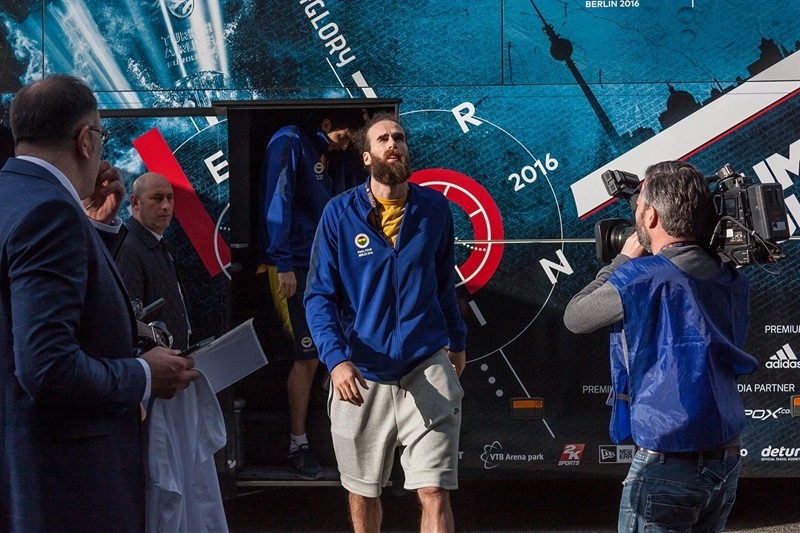 De Colo added 7 assists and 3 steals. 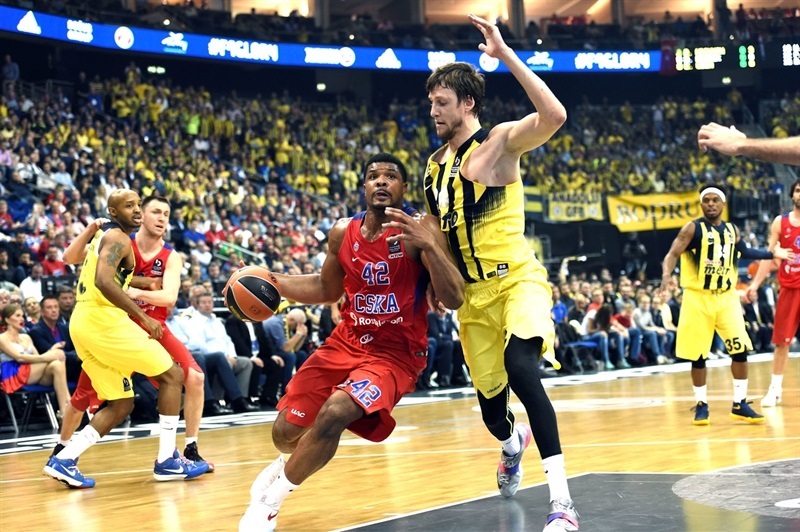 Fellow All-Euroleague guard Milos Teodosic collected 19 points and 7 assists, while Kyle Hines posted 15 points on 6-of-7 shooting. 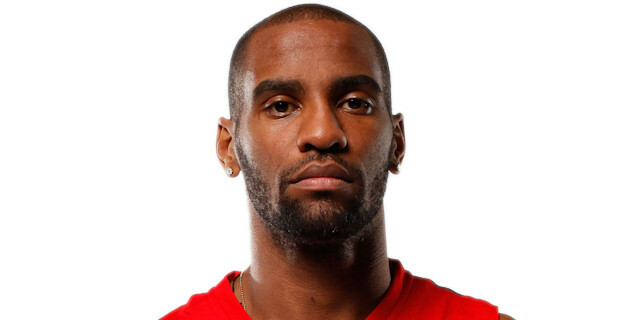 Cory Higgins added 12 points, Andrey Vorontsevich 11 and Khryapa 10 for CSKA. 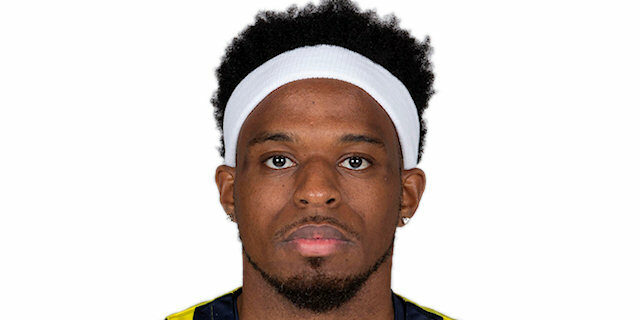 Bobby Dixon led a big second-half comeback for Fenerbahce and finished with 17 points, making 5 of 9 three-point shots. 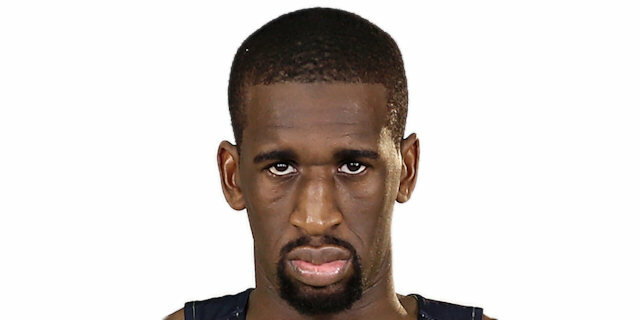 Ekpe Udoh tallied 16 points and 11 rebounds, Luigi Datome and Pero Antic each scored 16, while Kostas Sloukas added 10 for Fenerbahce. 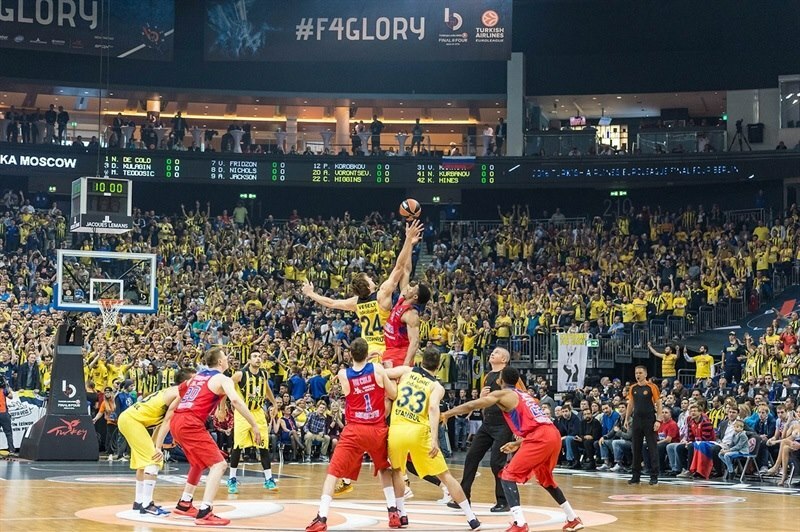 The 197 points scored by CSKA and Fenerbahce was the second-highest total in the history of European continental title games, exceeded only by the 202 for which CSKA and Real Madrid combined in 1969 after two overtimes. 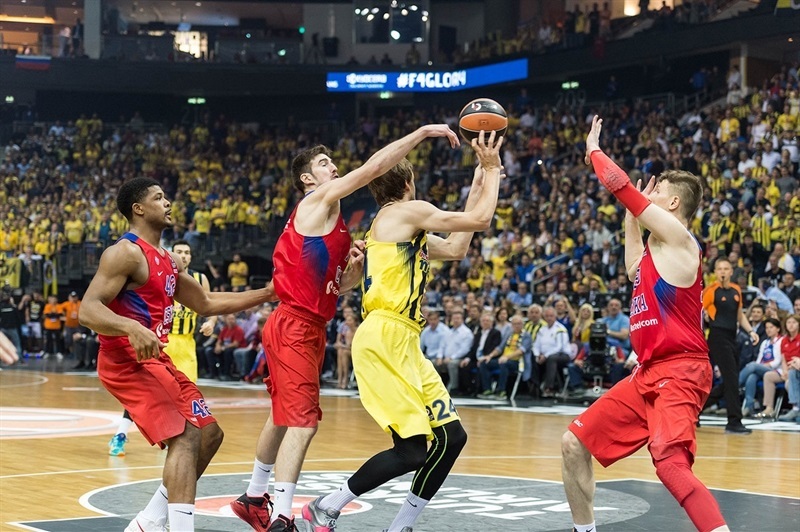 De Colo opened the scoring with a floater, but Nikola Kalinic bettered it with a triple. Kyle Hines drove to score inside, but a three-point play from Luigi Datome made it 5-4. Higgins nailed a three after a behind-the-back dish from De Colo, but a put-back from Bogdan Bogdanovic and a triple from Datome put Fenerbahce up 11-7. 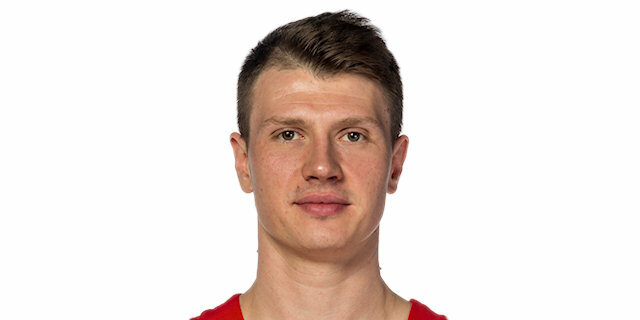 However, Andrey Vorontsevich answered right back with a triple of his own and added a pair of free throws that made it 11-12 after only four minutes of play. Teodosic nailed a three-pointer to cap a 0-8 run, but after a timeout, Jan Vesely made a baseline floater, and Datome hit a mid-range jumper to tie the game. A three-pointer from Higgins put CSKA back in front, and free throws from Teodosic opened a 15-20 cushion. 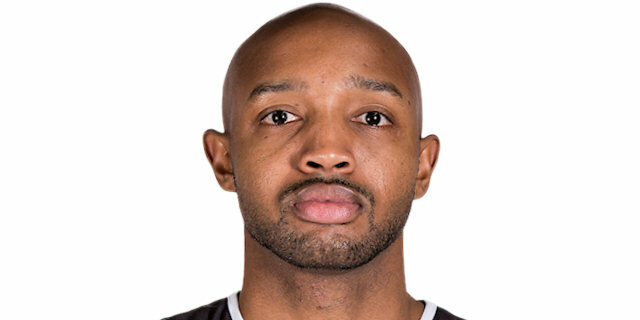 Ricky Hickman used a second-chance opportunity for a driving layup-plus-foul, and tied the game once again making free throws, however, Victor Khryapa hit a second-chance jumper on the other end and blocked Hickman’s layup attempt in the waning seconds to put CSKA up 20-22 after 10 minutes. Nikita Kurbanov made a pair of foul shots for CSKA, but Bobby Dixon buried a three-pointer to cut it to 23-24. 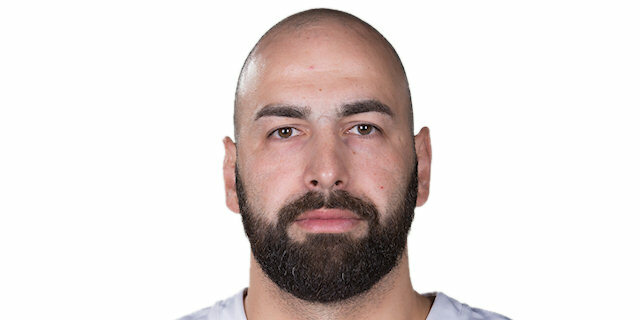 After a tough floater by Teodosic, Pero Antic made 3 of 3 from the free throw line, and Udoh split his two for Fenerbahce to regain the lead, 27-26. CSKA countered with De Colo’s baseline floater and a magic no-look pass from Teodosic that set up an easy dunk from Vorontsevich to make it 27-30 and force a Fenerbahce timeout. A fastbreak slam from Kurbanov added to the CSKA lead, and after foul shot from Antic, Teodosic nailed another triple to make it 29-35. After a timeout, Hines’s foul shots and De Colo’s corner triple extended the margin to double digits. Higgins went untouched for a one-handed dunk, added a pair of foul shots, and dished a pass for a Hines layup. 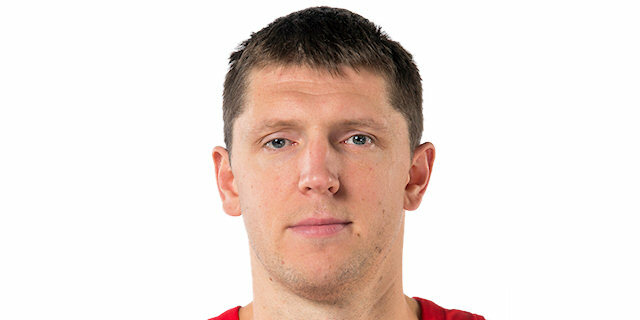 In the final 90 seconds of the quarter, CSKA made two more defensive stands, while Vorontsevich drove for a layup and Teodosic fed Aaron Jackson for an easy layup and a 20-point halftime margin, 30-50. Vesely opened the second half with a layup. After a three-point play by Hines on the other end, a Bogdanovic layup and a Vesely put-back cut the difference to 36-53. 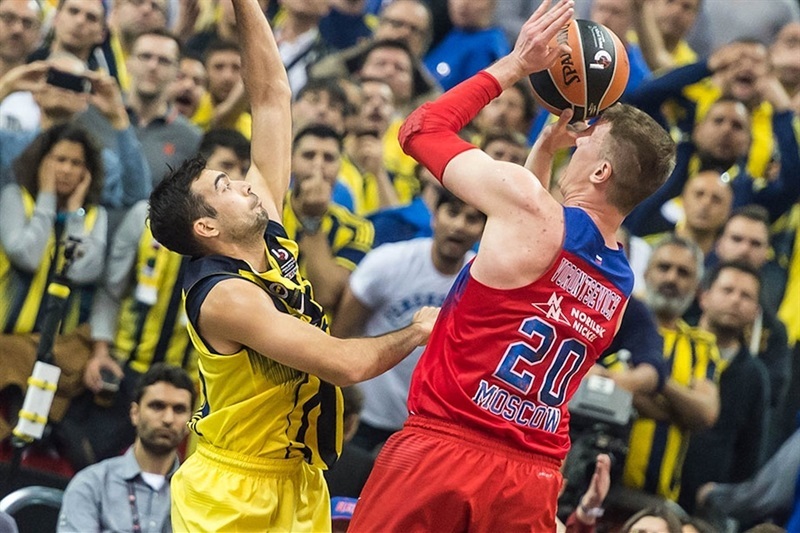 Fenerbahce’s full-court pressure resulted in three consecutive CSKA turnovers, and its defense did not allow a basket for more than three minutes, but Vesely missed 4 free throws and Fener missed an opportunity to cut into the deficit some more. 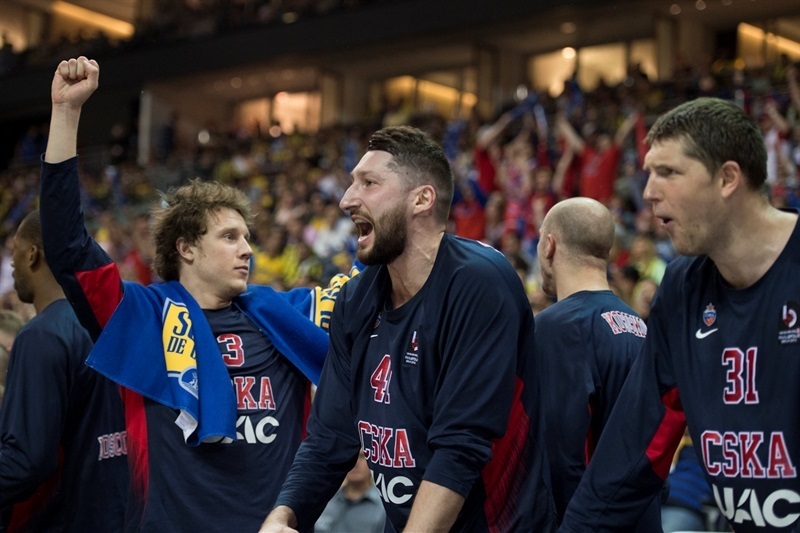 As the battle intensified on every inch of the court, Teodosic made 2 of 3 from the line to end CSKA’s drought, before Vesely and De Colo each split free throws to make it 37-56. Sloukas drove for a layup, but Teodosic from the free throw line and De Colo with a driving layup increased the margin to 39-60. 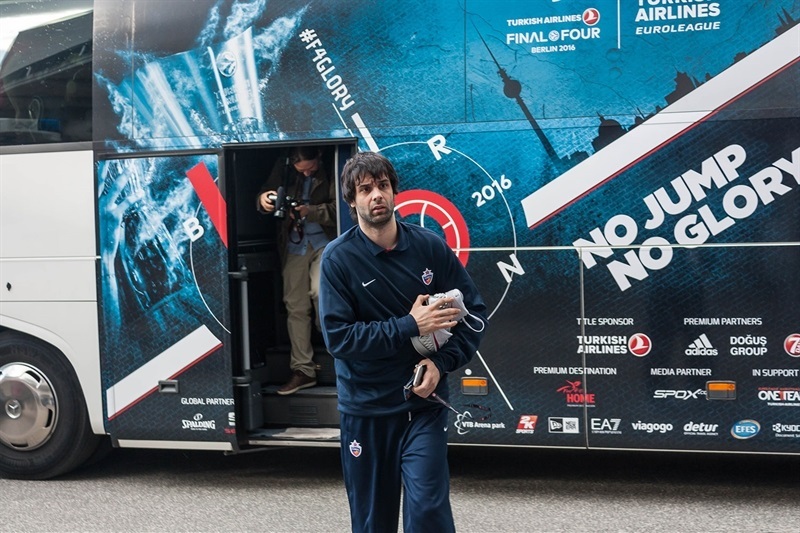 Antic hit a triple for Fenerbahce, but Teodosic answered right back from downtown. 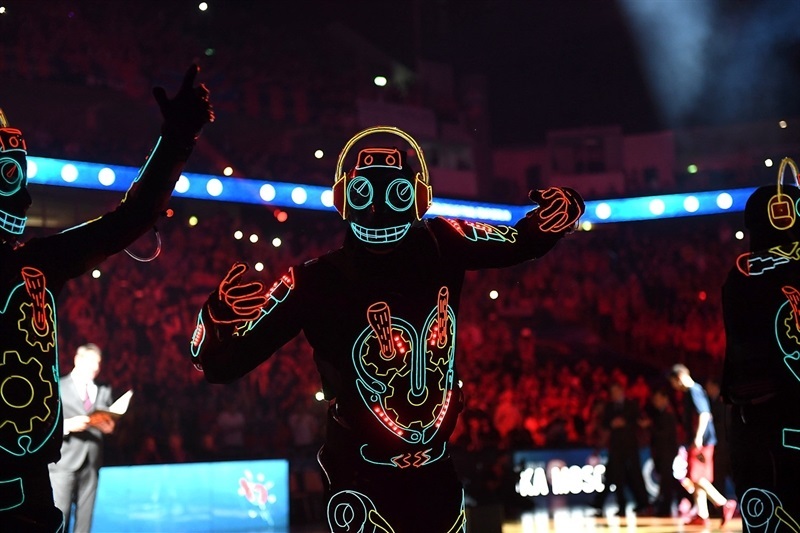 Sloukas drove for an up-and-under layup and added a free throw and Antic made 3 of 4 from the line, while drawing De Colo’s fourth personal foul, 48-65. Khryapa got creative feeding Jackson for an easy layup, but Dixon nailed a much-needed triple for Fenerbahce. 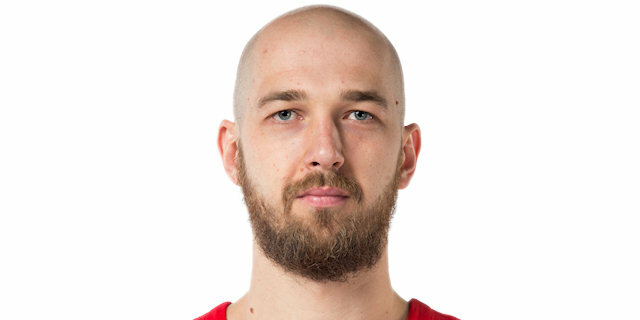 Vorontsevich and Udoh split foul shots in the last minute and CSKA held 53-69 lead. 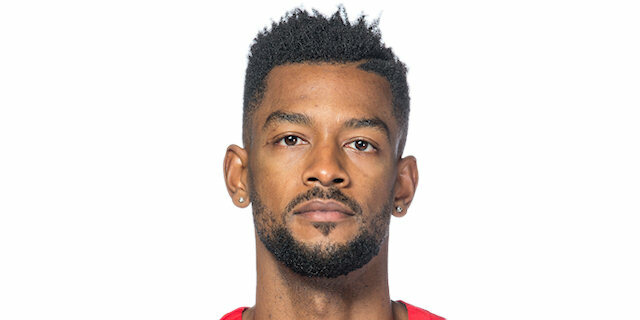 A put-back dunk by Udoh started the quarter, and after a Khryapa triple, Datome fed Udoh for a dunk, Then Udoh fed Antic for a dunk-plus-foul to get within 60-72. Jackson made a driving layup, but Udoh forced a fourth personal from Teodosic and then scored a layup that made it a 10-point game with six minutes to play. Vorontsevich’s fifth personal foul sent Datome to the line and he cut the deficit to 8 points, before Khryapa hit a triple to make it 66-77. But Datome hit a triple of his own and Antic made free throws. Hines scored inside for CSKA, but Udoh had a second chance dunk, before Dixon hit a transition triple and added a floater to make it 78-79 with two minutes to go. That was the score going into the final 60 seconds. Teodosic fed De Colo on a back-door cut with a layup, but Dixon hit a triple with 43 seconds to go to tie the game. 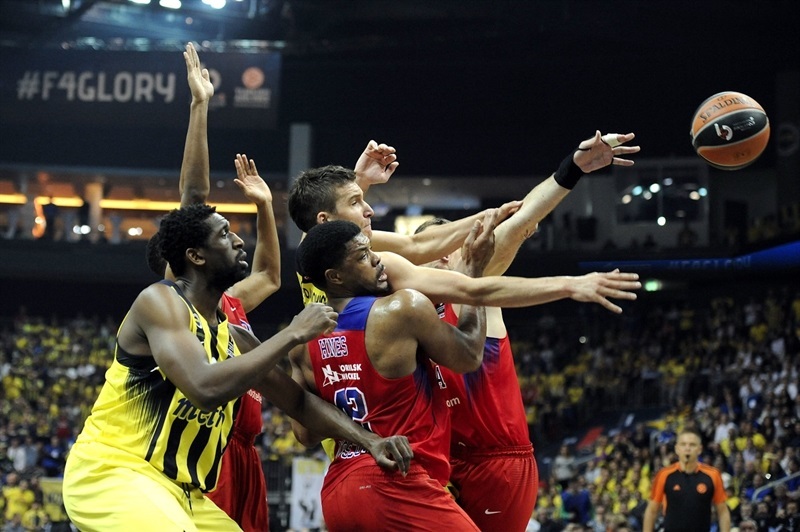 Fenerbahce made a defensive stand, and Sloukas made 2 free throws, but CSKA had the last possession, and Khryapa put back a miss by De Colo to send the game into overtime at 83-83. 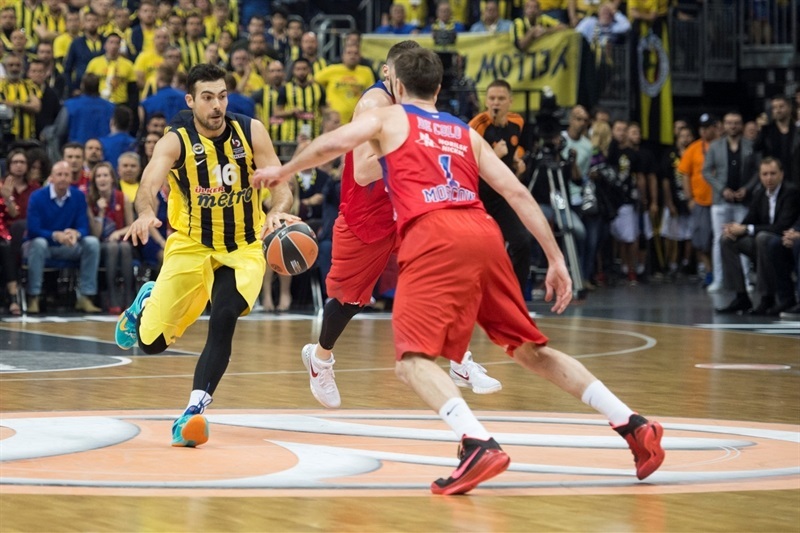 Sloukas hit a triple to start the scoring in overtime and give Fenerbahce a new lead. De Colo made 2 foul shots and a fastbreak layup by Higgins made it 86-87. Bogdanovic beat the shot-clock with a short baseline jumper, but Hines scored inside and De Colo drove for a layup to make it 88-91 with 2:10 left in the extra session. After a Fenerbahce timeout, Udoh had a dunk, but De Colo’s foul shots kept CSKA in front and Hines made a put-back to open a 90-95 advantage. Khryapa came up with a big block on Kalinic, and De Colo’s free throws extended the margin to 7 points with 38 seconds left in overtime. Fenerbahce never quit; Dixon came right back with an off-the-glass triple. 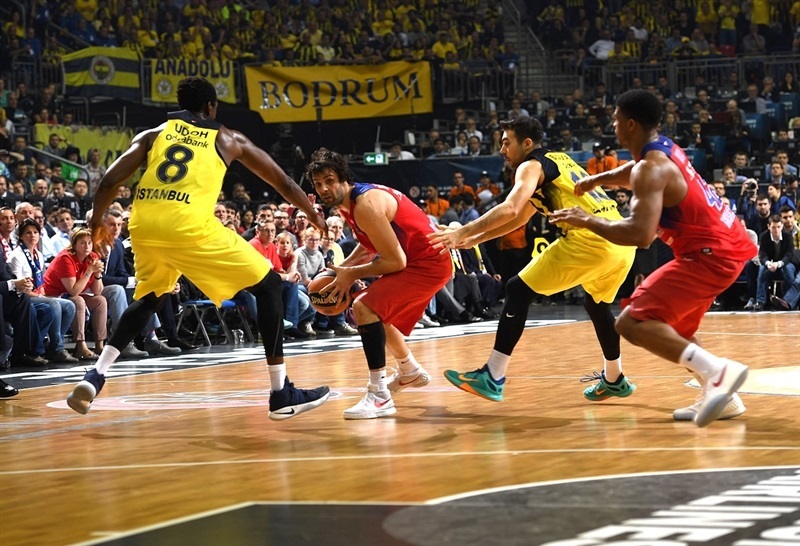 However CSKA managed to waste 16 seconds by keeping the ball away from the Fenerbahce defense, When Fenerbahce fouled Teodosic with 17 seconds left, he netted 2 free throws. 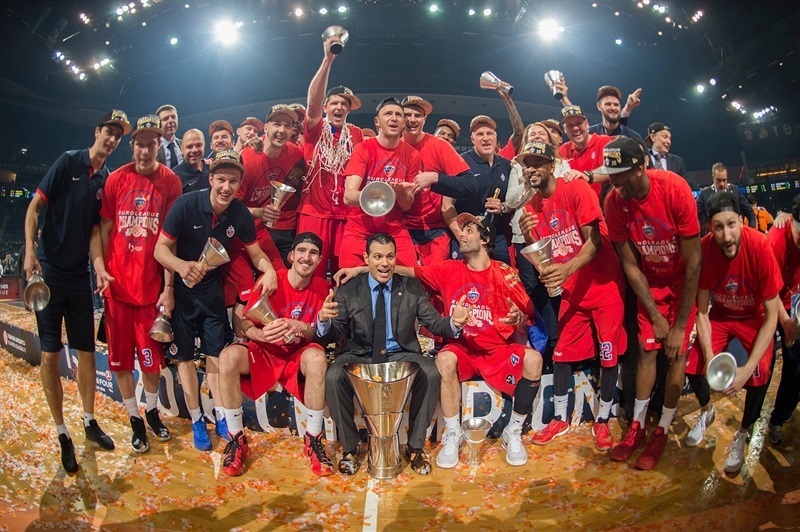 Datome nailed a triple with 7.5 seconds left, but then De Colo made 2 more free throws to ice the win and the Euroleague crown. 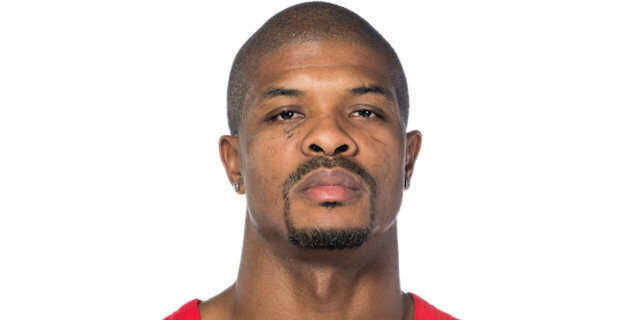 "I want to congratulate CSKA for their seventh title. And also to my smaller brother [Itoudis] for his first title. There are also two guys in his staff who were with me as well. So special congratulations to them too. It was two different parts of the game. CSKA dominated the first half of the game. And we absolutely missed all concentration. They took advantage of our switches. I talked to my players about the character they showed all season. Right now I am very, very proud. 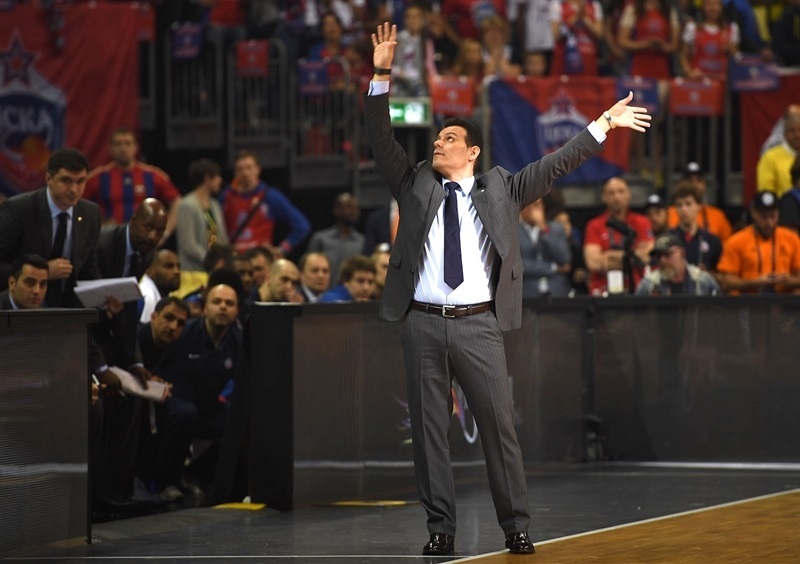 We had a great Euroleague and I think we deserved to win the Euroleague. We were very close. I really think we deserved to win the game in regular time. But thank you to our people and the fans for their support. I hope that everyone will be there so we can come back next year and win the title. This experience must help us for the future." “I don’t have many words to say. I am very happy being part of such a great organization and bringing all together that European title that everybody was expecting. Sometimes life is writing some scenarios that are amazing. 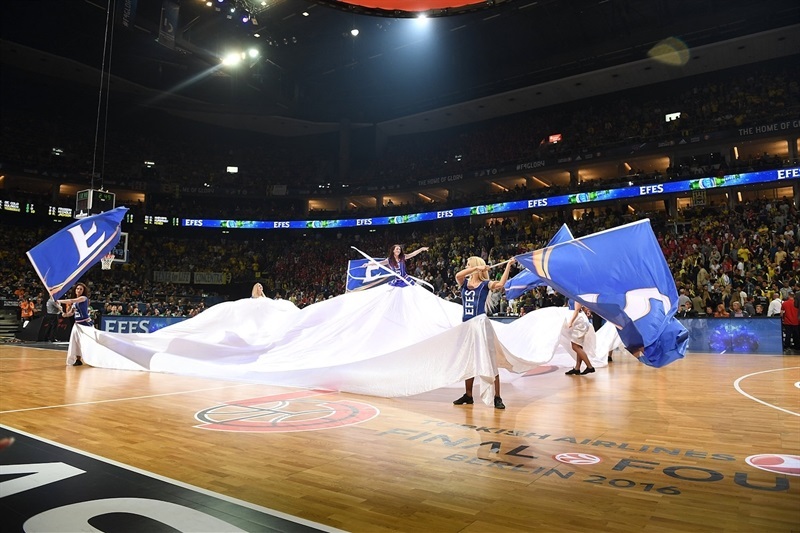 But I’m very happy because in this Final Four, we had people who reached the Final Four for the first time, they reached the final for the first time and they became European champion for the first time. I hope and wish for them and the rest that it was not their last, but rather many of those in the future. " “About the game, we started very well. We were dominant. 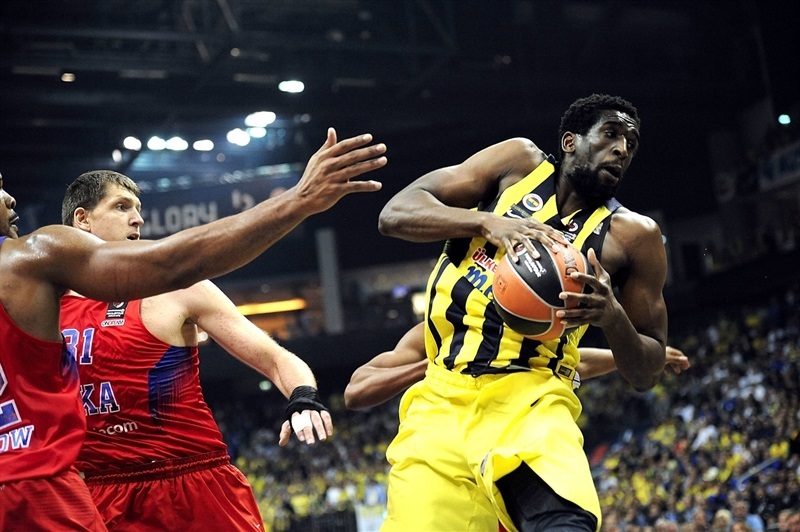 We managed in the third quarter to stay focused and alert despite the fact that Fenerbahce were pressuring. We said they were a great team. They managed to tie the game and overcome in overtime. The fire was there for my players. And I’m very proud for them. They managed to handle all their emotions. We stayed calm, we stayed together, we tried to find the right way to attack. And finally they deserve all the glory. They wrote history. The history is written because, if this exists, I don’t know, bad luck, this stuff and superstitions. The way this happened, the way we won that title, and especially with some players who were in Final Fours and lost the title in clutch moments, now they have won it. They have my respect, my love and I’m ready to give everything to them. " 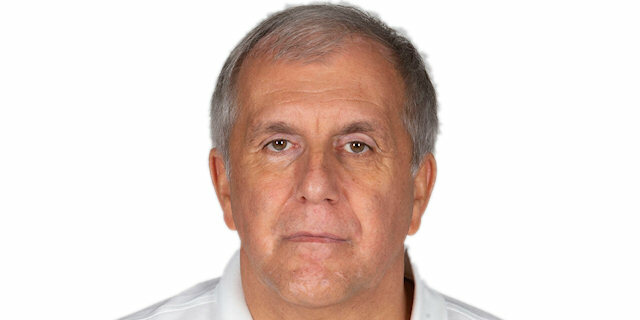 “I wouldn’t be here if it was not for Zeljko and Panathinaikos. I said I know how hard it is. I knew that one would win. It was CSKA and my staff. But he had a big, big, big, big part of what we have won. I felt that I had to say that to Zeljko. I thank him from my heart. " "These are games where energy is not a question. Like I said, brain, heart and balls. We let them get a 20-point lead at the half…. We lost the game basically in the first half. We came back. This game, 1 rebound. Khryapa catches the rebound, we didn’t box out. Congratulations to them, they played great basketball. Hopefully we will see you again next year. " "The first half really hurt us. I think in overtime we kind of ran out of gas. We showed a lot of character, but in the end some times it’s just about the little details and CSKA deserved to win the game. 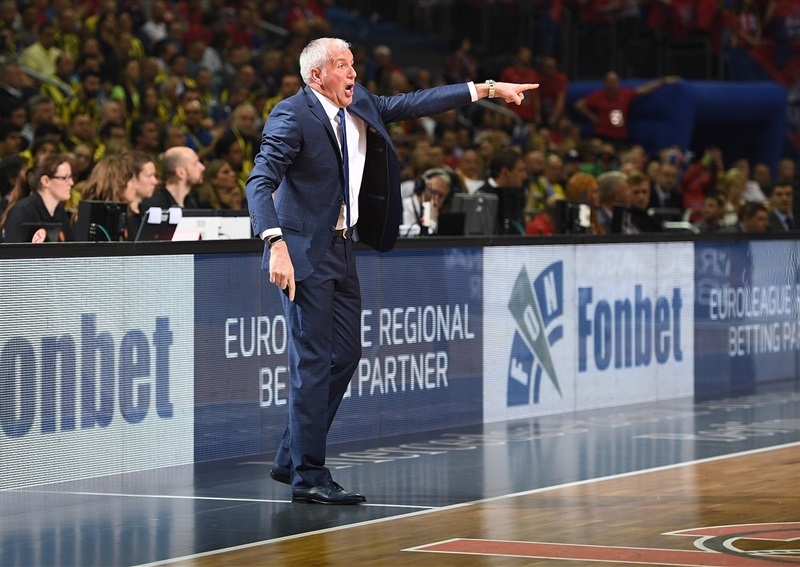 It was definitely a great Euroleague season, but at the end of the day you have one goal and we didn’t achieve that goal. " "We were just 1 rebound away. We get that rebound, I think we win the game. The guys fought back hard to get back in the game and we had a chance to win. [In the second quarter], we stopped playing our basketball and they built a lead. We made a lot of little mistakes, we missed a lot of free throws and played kind of shaky in the second quarter and it cost us. " "We lost that game. Hats off to CSKA. We had a good season, but at the end of the day I think we lost that game. We were up by 2, but he got an offensive rebound and hit that shot. It was downhill from there. We’re still the best team in Europe." "We had plus 20, plus 21 in the game. To have them come back and have a lead at one point, it was definitely nerve-wracking. But I am happy we pulled it out. But I think this is the only fashion we can pull it out. After so many heartbreaking losses in the Final Four, everybody went, ‘oh, here they go again.’ We wanted to stay solid in the fourth quarter, and continue to play our game. We got crucial stops and crucial baskets in the big moments of the game, and that’s what makes the difference. I would be lying to you if we didn’t think, ‘here we go again.’ I have been on the other side of the 19-point comeback and a part of two other games where we had a lead and the other team came back. It feels great to change the story, and that’s how it is supposed to be. 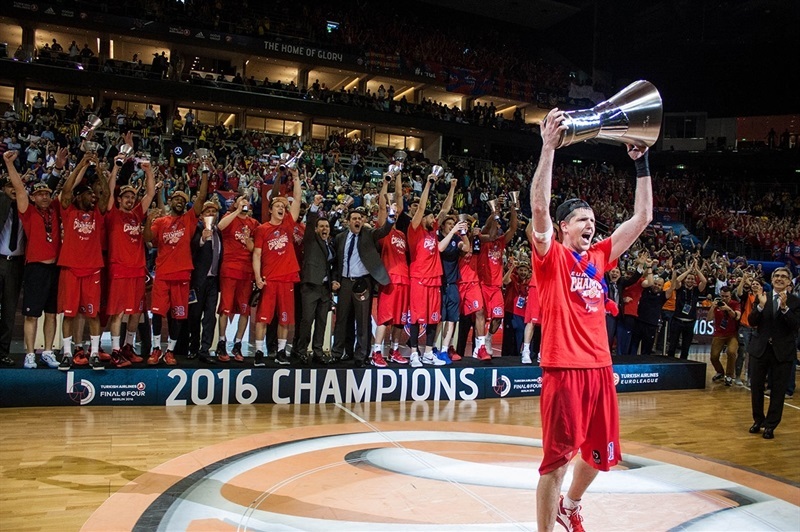 CSKA is a great club, one of the winningest in all of Euroleague, and for [us] to be the champions is only right." "I can say this is the most exciting moment in my life. 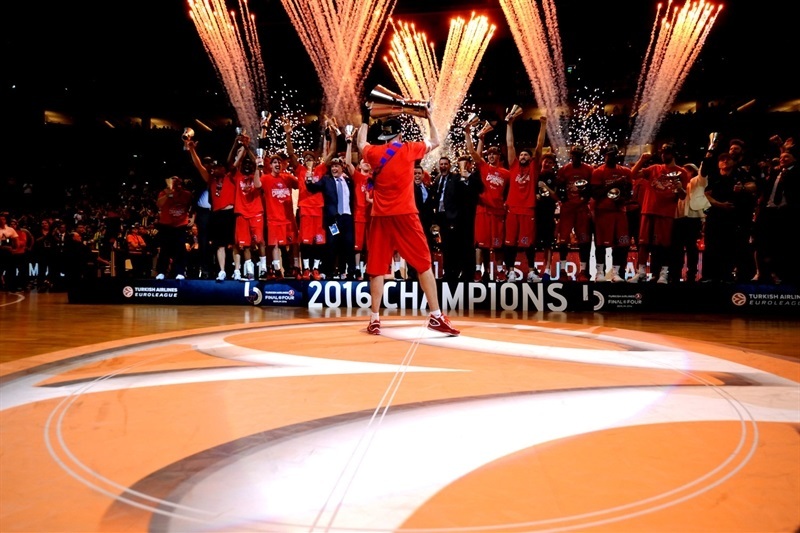 I am so happy that I came to CSKA, and in my first year we came to the Final Four and won it. It is hard to explain it, I cannot find the words, but this is amazing. It is the best feeling in my life and I am happy to share it with my brothers." "It was a long way for this trophy. It is my second time. I feel unbelievable. We waited for this a long, long time. The team, the staff, and all the CSKA wanted this win so badly, and I want to thank all the fans that came to support us. 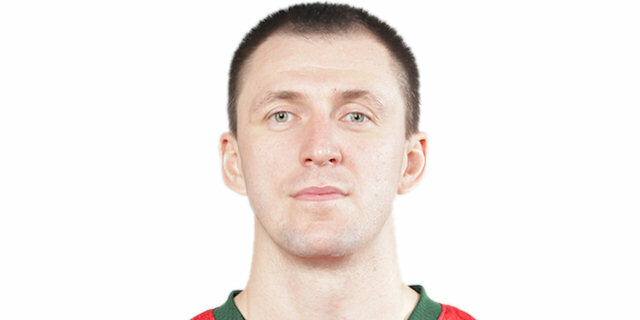 Before the last timeout I told Khryapa go and save us, and he saved us. Without his points maybe we would not have won. " "Words can’t describe it. It feels amazing. This is what we worked all year for. We had great team atmosphere the whole year, and you can’t ask for anything more. I had a real emotional moment with Coach Itoudis. When they brought me here, a lot people were saying, ‘What is he doing?’ and I told him we are going to show them why he brought me. And look who is standing on the championship table now." "Everybody who contributed from practice to games, all the hard work paid off. This is our goal. It is so special. If everybody knew how hard we worked in practice, how we dedicated ourselves every single day. We deserve it. This trophy is for CSKA fans, for players, for my family." "I feel great [about all these awards], but this is just details. The most important thing is this cup and nothing more. I am very proud of us because we worked hard all the season. Everybody thinks this is easy because we are CSKA, but we had to fight day by day, game by game, and we did it. It was a tough season, like every season, but I can say this season we have a real team and everybody fights for his teammates. 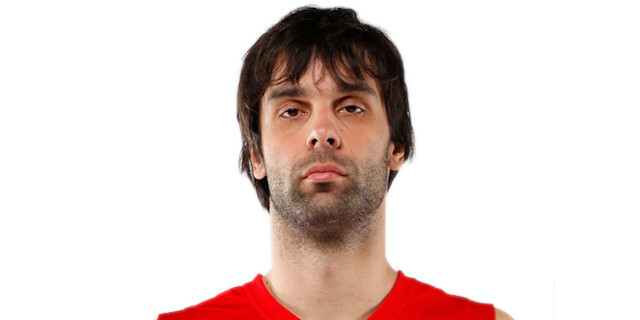 I want more titles, like Milos [Teodosic] said. 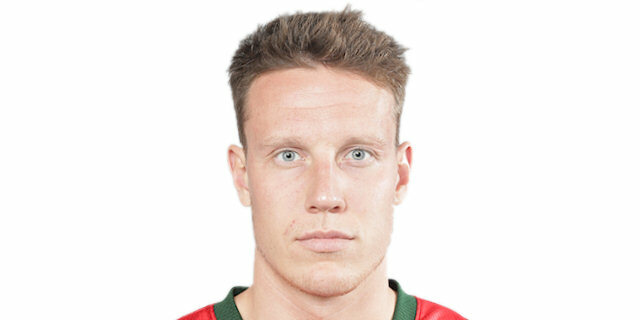 He is a great player and fought during the season, too." "It feels unbelievable. I have no words to explain. Like I said when we first came, we came for glory. We got glory. It will be forever. A hell of a season. A hell of a coaching staff. A hell of a president. A hell of a team. Kudos. Unbelievable. Four years waiting for this moment. I knew once we get to the finals we will win. And we want more." "It is my third Final Four, I said before this one that I will win it. It was a crazy game, unbelievable game. They were up by 2 points, but our captain Victor Khryapa sent it to overtime. Now we won, and CSKA is champion. I want to thank teammates, fans, president, everybody. It is unbelievable." "This is an unbelievable, beautiful feeling. 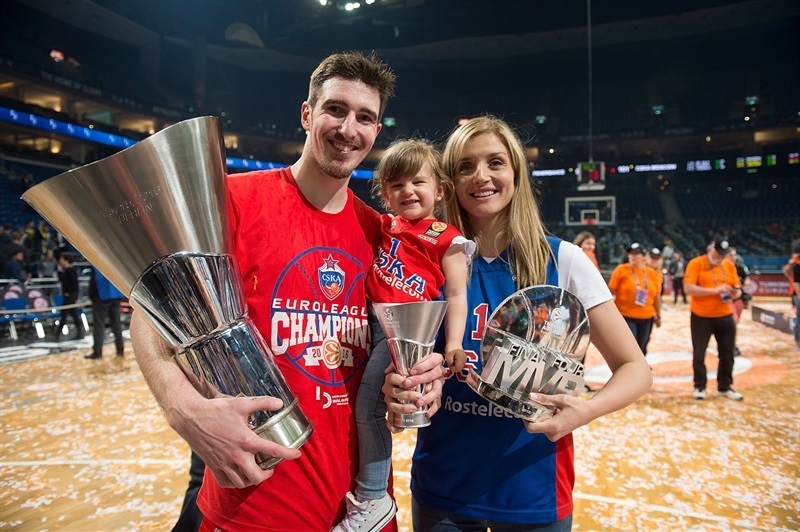 In my biggest dreams I could not imagine what it feels like to win Euroleague. I think only in few days, if not more, we will realize what we did here tonight. I've been part of crazy games like this one, but never won them, unfortunately I have only been losing those. But all the hard work all these years paid off, and I am so proud of this trophy." "I don’t know what to say. We spent too much energy to say anything. I can only say thank you to the whole team, all the guys, all our fans, everyone who was with us the whole season. " "It was a great game. We were up by 20, looked like it was already done. But when two great teams go against each other it is never easy, never easy. It looked like we played okay, but they played harder in the second half. The game became even more beautiful in overtime, and we took advantage and got a win." "It is all emotions right. It was unbelievable game, very hard. In fourth quarter, and overtime, we just believed we can win. 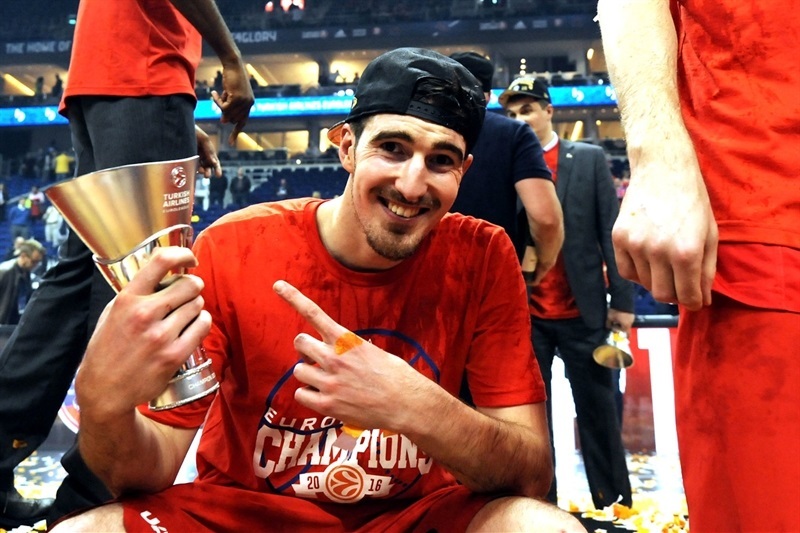 And now we are Euroleague champions."